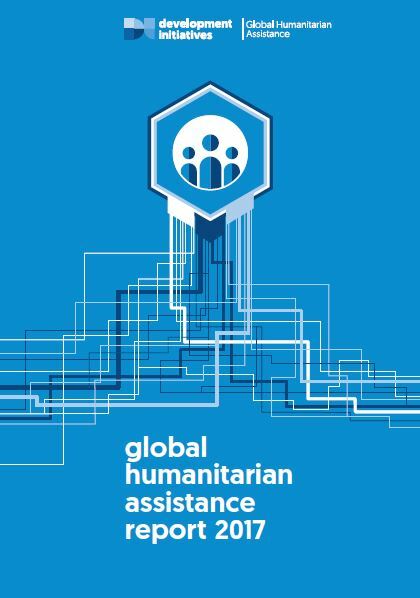 Welcome to the Global Humanitarian Assistance Report 2017. This annual report is a leading resource for understanding humanitarian financing and related aid flows. One year on from the World Humanitarian Summit, the energy that brought people together around the UN Secretary-General’s Agenda for Humanity is still evident. Multiple processes have catalysed efforts to define, implement and measure new ways to address and prevent crises: the Grand Bargain, the UN Summit for Refugees and Migrants, World Bank meetings and discussions around the ‘New Way of Working’. Against this backdrop, our report provides a comprehensive overview of humanitarian funding. In addition to our annual analysis, the 2017 report introduces salient topics to support the reform of crisis-related financing. This includes analysis on the links between poverty and crisis, risks and resources and across several of the Grand Bargain commitment areas such as transparency, localisation, earmarking, cash and multi-year funding. The Global Humanitarian Assistance Report 2017 supports official processes established to monitor progress and sustain momentum. Navigate our key findings via the chart pack on the right. The full report and chapter downloads are available below.